Insecurity is an enemy of peace. It may come in a disguise but we know it is doubt, unbelief, ungratefulness and fear. It robs us of the peace our Lord Jesus Christ has given us freely. Sometimes we don’t even know we are insecure in our relationships with people. There are many hallmarks, such as, the feeling of shame, jealousy, envy, when we compare our behind-the-scenes with every one else’s highlight reels, when we compare our spouses and children with others, when we complain about our height, weight, the shape of our hips, eyes, nose, the list is never ending. But the word of God gives an explicit description of how we were created, in Genesis 2 and in Psalm 139 where even more was revealed. 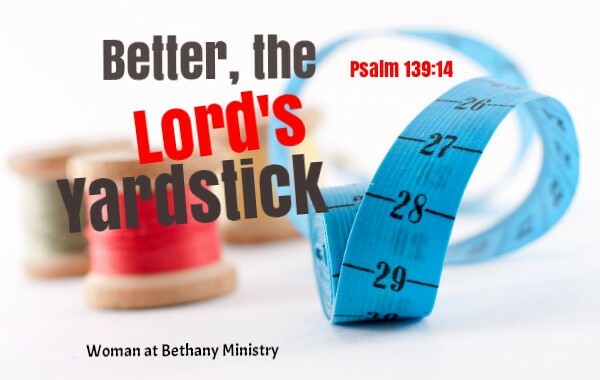 The Lord was present and so was His measuring tape. He made sure each of us were custom made just for His pleasure. We are fearfully and wonderful made. That is why we are different. It is ungodly to desire or ask that everyone should be like you; there is only one yardstick and it belongs to the creator – God Almighty. In the place of prayer, we can deal with all manner of insecurity, all fears. The peace of God has been poured out abundantly but to receive that peace in full we must do our part. Determine to change your thinking about yourself. The Lord made you specially for the manifestation of His glory. Treasure your body, take care of it, starting with what you eat and drink, followed by what you confess with your mouth, what you hear or see. The Lord’s yardstick says we are beautiful, unique, special and prepared for every good work. When these words leave our heads and travel to our hearts, then we start experiencing the full peace of God. And at that point, nothing else matters. You are God’s precious child. Shalom.